Going Nuts over Summer Snacks? With school out, many of are now faced with the endless cries of “I’m hungry” and the age old question of “what can I have for a snack?” We are all making efforts to provide better choices for our children and thought we would give you a few easy snack ideas that will keep the kids energized (in a good way) and will make you feel good knowing that they aren’t eating junk! Commercial peanut butters often contain not only added sugar but cottonseed, soybean or rapeseed oil, molasses and mono or diglycerides. A tablespoon of organic almond butter can also keep blood sugar levels under check. Almond butter will subdue the spikes in the blood sugar and insulin levels that increases after a high carbohydrate meal. Almond butter is also richer in vitamin E, an antioxidant vitamin that plays a role in keeping your heart and blood vessels healthy. Each serving provides 7.75 milligrams, more than half your recommended intake, while peanut butter has 1.9 milligrams of vitamin E.
The most significant benefit of almond butter’s mineral content is its 89 milligrams of magnesium, which provides 20 to 25 percent your recommended daily intake for that mineral, compared with peanut butter’s 57 milligrams of magnesium. 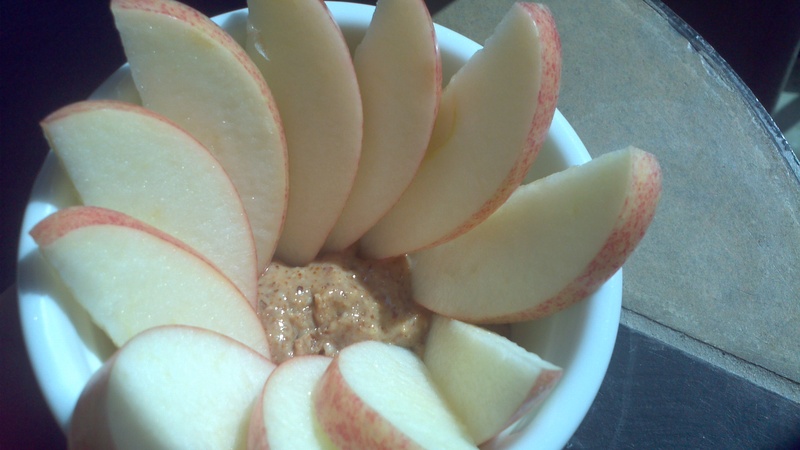 Using organic almond butter in place of peanut butter provides a healthier sugar free option. Most peanut butters on the market add additional oils and sugar to enhance texture and flavor. Using pure organic almond butter naturally has a more “summer tolerant” texture (less runny) and a nice mild flavor. Trim celery stalk tops and bottoms and cut celery into 4” spears. 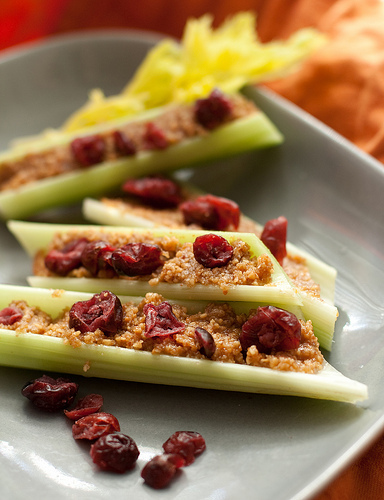 Fill celery spear with approximately one tablespoon of almond butter. Place your “ants” on the almond butter. These can be made ahead of time and kept in the refrigerator for a quick and easy snack. In a food processor, mix all ingredients until well-blended. Press dough in greased pan (we use organic coconut oil) and baked 15-20 minutes. Cool slightly and cut into squares. Serve warm, at room temperature, or chilled. Store in airtight container in the fridge for up to a week. Place almond butter into a small ramekin for dipping. If going poolside or to a game put almond butter in a small BPA-free container. We hope you and your children enjoy the snack ideas. In the coming weeks we will be providing some additional recipes including frozen treats for kid’s, refreshing smoothie recipes and easy to make family dinner’s! Please remember that you can pickup either raw or roasted Organic Housewives Almond Butter at Oconee Interiors in Harmony Crossing.